Complementary to our geomatics and photographic services, our building recording service aims to offer a comprehensive range of options for our clients. We can enhance existing surveys with detailed recording of building fabric type and analysis for constructional and chronological building sequence. 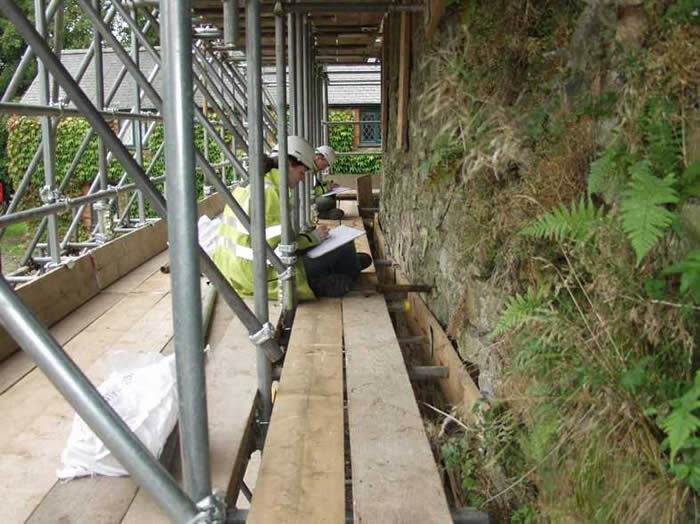 We can also prepare measured drawings from photogrammetry, rectified photography and computer-rectified photography to produce swift outline elevation drawings or more detailed stone-by-stone drawings according to project requirements. FAS Heritage has undertaken wide-ranging building recording projects from complex timber-framed buildings to modern concrete structures. If you require building recording for a project please get in touch or look at some of our case studies for examples of building recording projects.